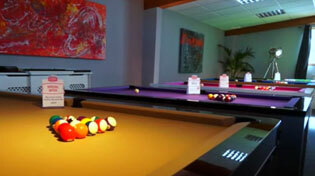 Home Leisure Direct carries a great range of McDermott American Pool cues. In stock now for free delivery to the UK. McDermott American pool cues are produced by McDermott, an American Pool cue production company that began in 1975, and for over 40 years have been producing American Pool cues that are synonymous with quality, performance and design innovation. The McDermott name covers several brands of cue, including Star, Stinger, Lucky and Sledgehammer cues, each designed for a certain aspect of play (like jumping or breaking for example), and have become renowned for their quality. McDermott cues are built to last, and even include a lifetime warranty against warping and manufacturer defects owing to their solidly-built wooden shafts. All of our McDermott cues come with free delivery to mainland UK. However, for locations outside the UK mainland there may be an additional charge depending upon your exact location. Please call our friendly customer service team on 0800 622 6464 for a quote. Visit our showrooms to see the range of McDermott cues we currently have in stock. You can try each of them out for yourself, and ask our experienced staff anything you need to point you in the right direction of your perfect cue.